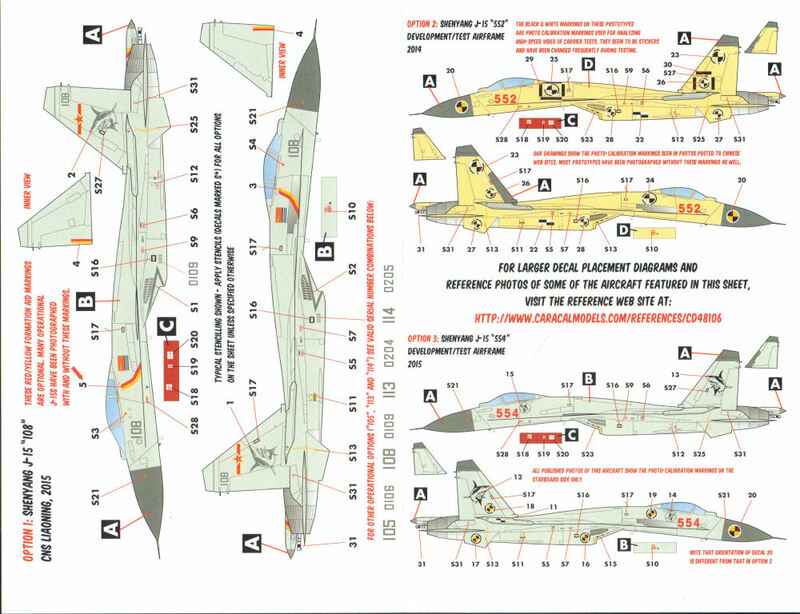 Here is the latest from Caracal, this set for the Kinetic Models 1/48 Su-33 Sea Flanker kit and provides markings for six distinctive subjects. 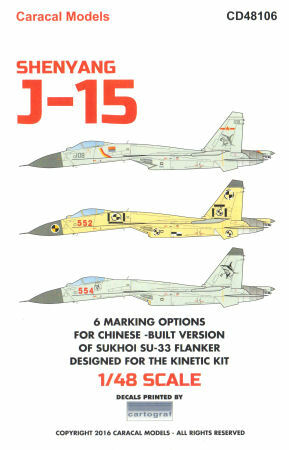 This set provides test and operational markings to convert the Su-33 to its Chinese counterpart, the J-15. 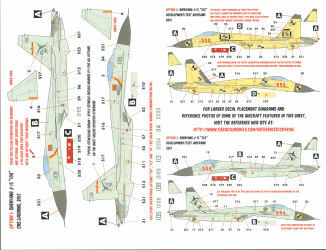 If you're interested in a different look for the Sea Flanker kit, this set will bring you to the 'other' operational user of the Su-33.